Alarm-Tech, Inc. - Don’t Let it All Go Up In Flames! Don’t Let it All Go Up In Flames! - Alarm-Tech, Inc.
With all the day-to-day concerns of running a business, fire is likely not top of mind. Yet, each year many businesses in the U.S. experience significant damage and loss caused by fire, smoke, and water released by fire suppression systems. In 2016 alone, there were 96,800 fires in non-residential structures accounting for 145 deaths, 1,550 injuries and $2,007,300,00 in losses, according to the Federal Emergency Management Agency (FEMA). Even a small fire can cause a business to suffer a full loss. FEMA estimates in their latest data from 2014-2016 that smoke alarms were not present in 52% of the larger, nonconfined fires in occupied, nonresidential buildings. Prevention and detection are key. Here are some of the most common causes of fire in commercial buildings to help you keep your business and property safe. According to FEMA, one of the most common causes of fire in non-residential structures is cooking. Restaurants top the list and experienced a substantial increase (18%) in fires for the 10-year period from 2007-2016. Other businesses and institutions, such as schools and offices with cafeterias or break rooms, are also at risk. Most incidents of fire result from mishandling or malfunctioning equipment. In fact, the National Fire Protection Association (NFPA) indicates that three out of every five fires in restaurants and one out of every four fires in office buildings are caused by cooking equipment. Proper maintenance and use of kitchen equipment, and the use of fire detection and suppression systems can help prevent damage and loss from kitchen fires. Unfortunately, one of the leading causes of fire in commercial buildings is arson. In fact, FEMA estimates that just over 9% of all non-residential fires are intentional. 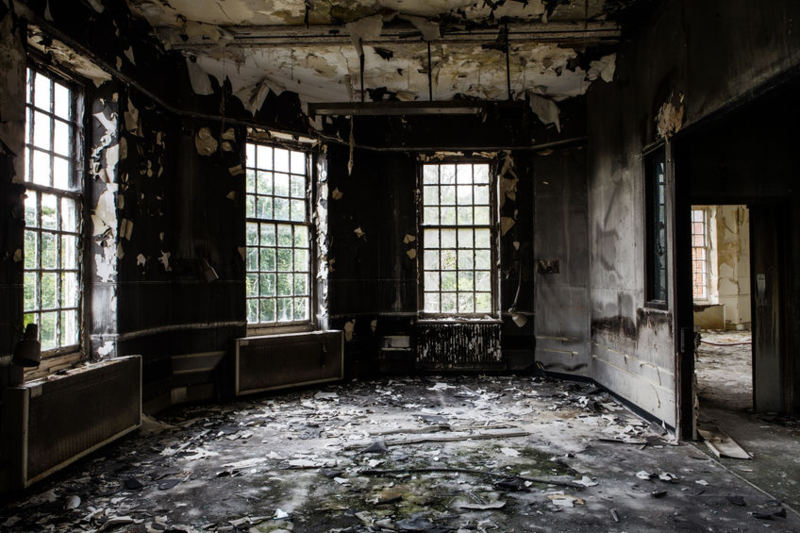 While commonly thought to be mainly started by owners, arson fires can be caused by vandals, disgruntled employees, unhappy clients, or those concealing crime. According to FEMA, assembly, educational, and institutional properties, as well as detached garages, have historically been the most likely to be the victims of intentional fires. The use of burglar alarms, video surveillance, and fire detection systems can help detect and prevent arson. Over 10% of commercial fires are the result of simple human error. Carelessness, such as the misuse of electrical sockets or tossing of cigarettes often end in unintentional fires. In 2016 alone, these types of fires resulted in $380,300,000 in losses. In the case of human error, early fire detection and fire alarm systems are critical to minimizing damage. Heating, including heating units, fireplaces, space heaters, and water heaters cause 8% of nonresidential fires. Regular inspections of these heating systems can help avoid potential issues. Ensuring you avoid placing flammable materials near heat sources, particularly when heating units are in use, is also critical to fire prevention.